LOCAL BC VEHICLE! This ES350 is finsihed in Deep Sea Mica on Light Grey Leather Interior. This Lexus is powered by a reliable 3.5L V6 Engine Producing 268HP and 248 ft-lb of Torque. The Lexus comes with plenty of standard features including a full Leather interior, Dual-Zone Automatic Climate Control, Heated Power Mirrors, Power Glass Moonroof and more. This particular unit is optioned with the Premium Package with Navigation which includes voice activated HDD navigation system, heated & ventilated front seats, USB audio input, backup camera, pwr driver variable cushion length, front passenger seat memory, wood steering wheel, wood shift knob, clearance & backup sensor, pwr rear window sunshade, high intensity discharge (HID) headlamps, dual-swivel adaptive front lighting system. Get Into a Luxury Lexus Sedan Now! Visit Jaguar Land Rover Langley to Book your Test Drive Today! 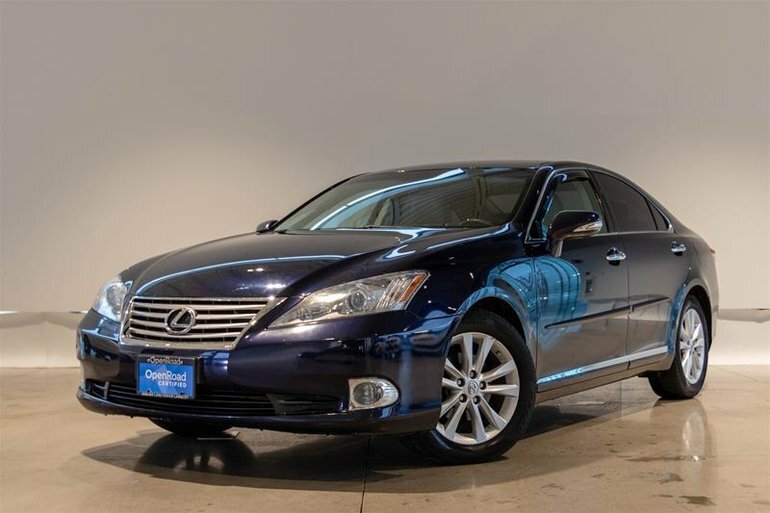 Interested in the 2011 Lexus ES350 6A ?